True productivity involves doing the right things at the right time. 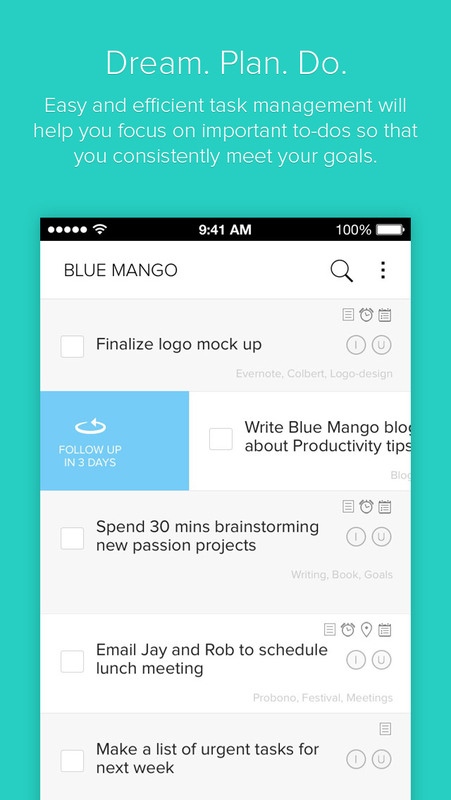 Gneo for iPhone and iPad helps you to take action with your to-dos and syncs seamlessly with your Evernote account. 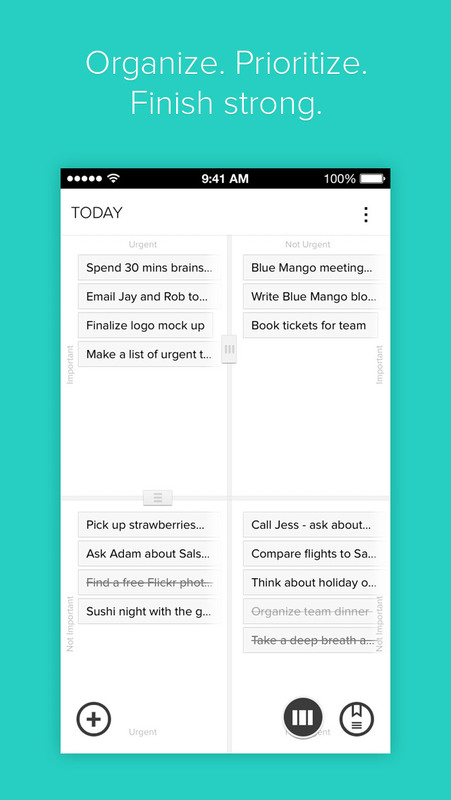 As you create tasks inside the app, Gneo helps you organize them, according to their relative importance and urgency. 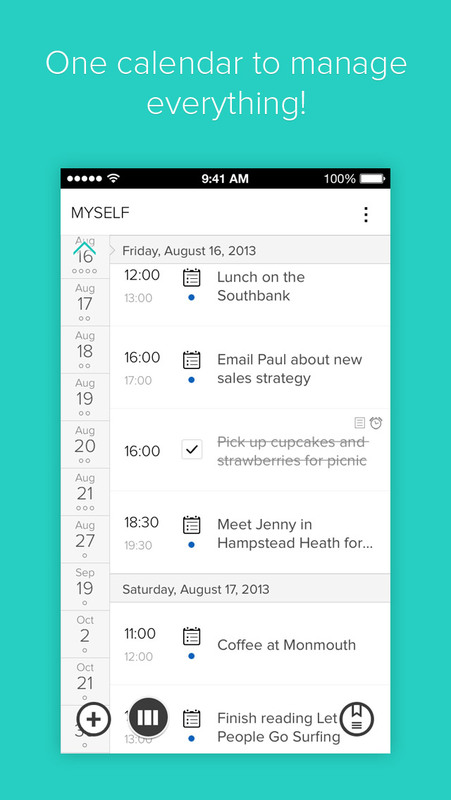 Work Canvas gives you a clear picture of the most pressing tasks, and the Daily Forecast shows you when you'll have time between appointments to do them. Followups and reminders ensure that nothing falls through the cracks. 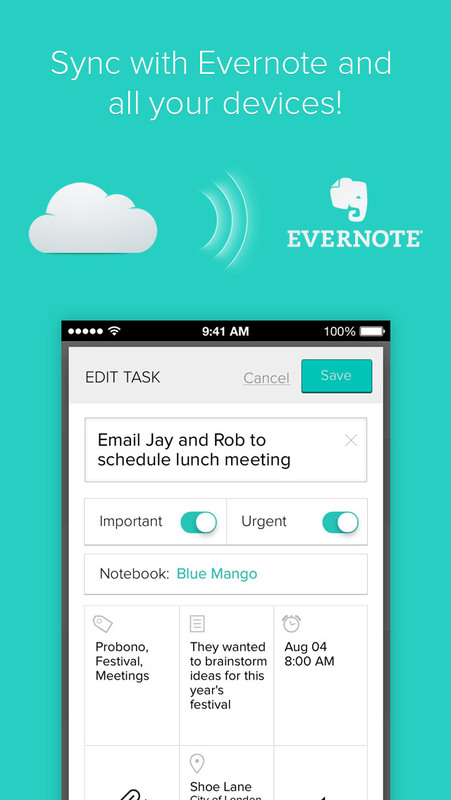 Seamless Evernote sync – Gneo syncs with your Evernote Notes, Files, Tags, and Reminders. Smart Notebooks – Quickly filter your tasks and Evernote Notes by slicing and dicing across your Notebooks and bring together to-dos with specific reminders, dates, and tags.